© 2016 PI Jamie Katz, LLC. All rights reserved. Jamie responded in the middle of the night to an email I sent and instantly made a hopeless situation feel possible to over come. And over come it we did! I got my 5 year old chihuahua back after 5 days and a ten hour head start. I was ready to give up on day 2, over come with the odds but she kept me going. I almost didn't call because I didn't think she would be affordable and I'm so happy I did. I only wish I would have hired her on Day 1. My baby girl, Charlie went missing on July 3...spooked by the fireworks in my back yard during her bedtime poop. She ran off. I have never lost a dog before and I had no clue what to do. I was in a daze. Well, I had heard of Jamie from many others on how awesome she was. I came across a post on Day 4 that my doggie was missing. She had recovered another dog on day 7...I saw it as a sign. Jamie kicked it in to high gear immediately. Having her on my team empowered me big time and I began to lose my feeling of desperation and hopelessness. She gave me a solid plan to execute. Also, Jamie was so easy to communicate with. Quick to respond and lovely to have as a partner in such a stressful search. I didn't have the outcome I had wished for in finding Charlie, but with Jamie's help and strategies, I was at least able to have closure and begin the process of grieving my littlest baby. She's worth every single penny. She's the real deal. Jamie is truly a savior and the best pet detective on the planet. She was there for every step in finding Roxy. My case was different because first Jaime had to use her scent specific tracking jobs, Fletcher and Gable, to find the general area of where Roxy went missing. When the area of Roxy’s scent was determined, Jaime created her signature signs for Lost Dogs and we placed them. The signs worked! Roxy was found. Without Jaime’s guidance and positive outlook, we sincerely believe we would never have seen Roxy again. She kept our spirits up during the search. Awesome pet detective! I did a phone consult with Jamie and ultimately did not hire her because my dog was found shortly thereafter. However, I was going to hire her. She took quite a bit of time speaking with me and profiling my dog's personality as well as looking at photos of my home and the surrounding area to help build the whole picture. She was confident, professional, and I had no doubts she would have delivered results. Highly, highly recommend. Jamie truly loves animals and cares that the people she is helping to find their pets are in a time of stress and heartbreak. She goes out of her way keep you positive and not lose hope while she lines up the data and the facts of her expertise to finding lost pets. I would not have my beloved Bob (cat) back if it was not for her! Jamie is the best person to work with on finding your lost pet! She knows so much about what she does and has an amazing team working with her. She works fast and gets things going because every minute counts when a pet is missing. Thanks to her system the word got out fast about my missing dog and eventually led up to me getting a call that someone had my dog. I can never thank her enough and would recommend her to everyone who needs help with their missing pet. I have known Jamie Katz for years as a friend and fellow investigator. I would and do highly recommend her. She is a kind, empathetic and gifted investigator I am humbled to know. Every experience I have ever had with her has been amazing. She gives from her heart and is probably way too nice. Jamie is a consummate professional and is able to professionally deliver results or uncover what needs to be uncovered. She is well-respected by her peers and clients alike. I wholeheartedly recommend her. I was fortunate enough to work with Jamie under very stressful circumstances. She has shown herself to be an expertise in this field and a dedicated, professional who truly cares about her clients and their pets. I enjoy working with her and value her opinion. I HIGHLY recommend her. Jamie was amazing she got to work as soon as I told her yogi was missing. We kept in touch for the 9 days. The posters were absolutely amazing. She posted on sites to ensure that people knew yogi was missing. If anyone has a missing animal Jamie is the one to call! I'm so happy yogi is safe and at home. I contacted her to help me find my cat. He had been missing for 19 days. I followed her directions and within 24 hours I got him back!!!!! you are the best there is! Thank you Jamie. After losing my mother and Charlie in less than a month, you were sent by God to help bring my boy back home. Would not have had him back if not for you and your experience and passion to help our fur babies. God bless you. Wonderful woman, with a heart of gold. Not to mention, her knack for finding our loved ones, when they go missing or stolen! Perfect example, Choco! You nailed this one, Jamie! Congrats to you and your 2 awesome team members! Keep up the GREAT work, my friend! Jamie was put on this earth for such a great purpose! Her passionate heart was so apparent and having someone with her expertise to walk me through the process gave me such comfort. PLEASE do NOT hesitate with calling her! Every moment is so vital and calling Jamie immediately was the best decision I made! My baby is home safe and sound after being lost for over 48 hours. Thank you again Jamie for what you do!!! Jamie was awesome! This is the first (and hopefully last time) this has happened to me. For jamie this is her daily routine! I was so scared that I would never see my dog again and jamie really came through with a solid well thought out action plan and reassuring words. If your missing your pet don't even hesitate to call her! Jamie truly cares about getting your baby home. She is the only reason I got my dog home. And when tragedy struck our family twice and my son lost his dog a week later, she helped us get him home in 2 days. 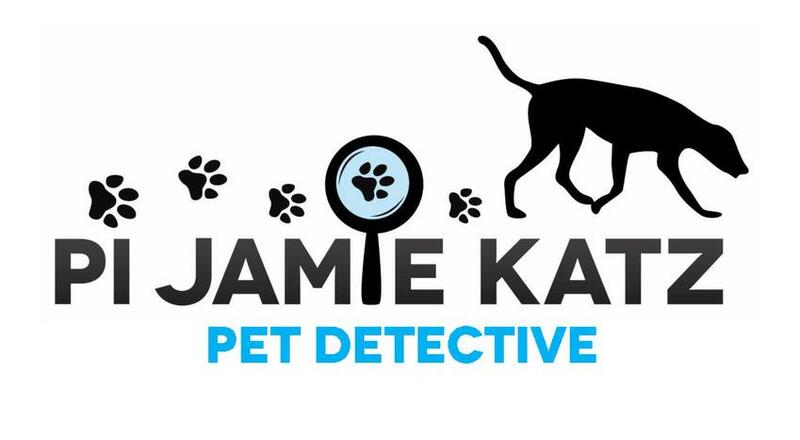 Anyone who is serious about finding a lost pet needs to call Jamie! Jamie was vital in helping me get my pitbull back. She has extensive knowledge and a passion for what she does. Without her, I dont think I'd have my dog today. 5/5, would call again. Jaime is one of a kind. Jaime was born to help animals and that's what she's done since very young age. She is a very dedicated and never stops when on any task. She's straight up about her services and shows the most highest of professionalism with the compliments of being a people/animal person. She's called me on a daily basis to keep me going and to be updated on any calls for my dog. She's truly the best and if your gonna hire anyone to find an animals you need someone like Jaime who loves, and understands that love for animals. She was very helpful and knows a lot about animals and their habits depending on the breed/species to help you narrow down where your pets could be. Definitely recommend. A+ also very friendly and shows immediate concern to help you and keep you brainstorming. 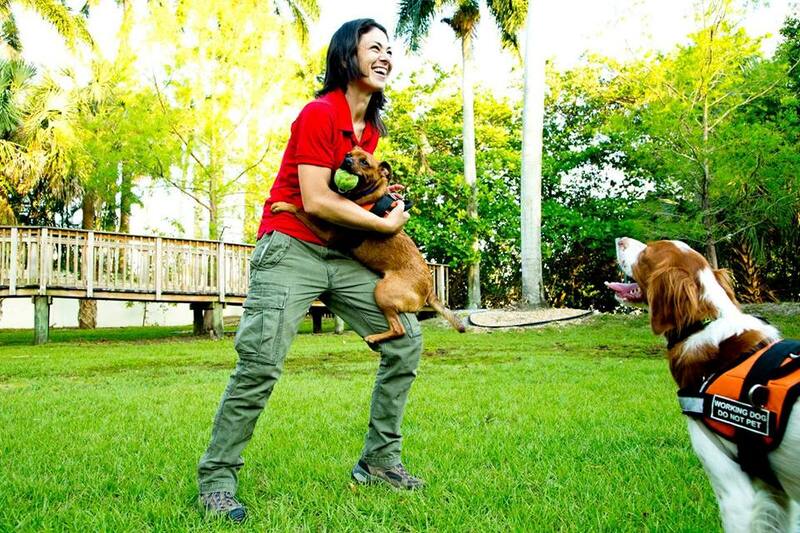 It was amazing to work with Jamie and her dogs yesterday! Jamie is very passionate about finding your lost furry baby. She was so focused and professional and it was awesome to watch her communication with her dogs and witness their great training in action. She found our little Lexi in less than an hour and it would have been even sooner if the dogs had a quicker way to cross the canal since Lexi was literally in the house directly across the canal where Jamie's dogs kept taking us. We were so impressed and grateful! I really need to thank my friend Suerosie for encouraging me to contact Jamie Katz. At first I was a bit skeptical because this was the first time I had problem like this. Fluffy is my mom’s dog, he serves my mother as an emotional companion due to her advanced stages of depression. The day Fluffy went missing, I posted 150 fliers thinking I would be able to find him. A couple of days went by, my mom’s condition worsened and no leads of Fluffy came in, I decided I needed to call Jamie Katz. I wanted to male sure I exhausted all of my options to find Fluffy, and contacting Jamie was one of them. Jamie was quick to design these spectacular signs that can be seen from afar. I actually had people contact me to tell me to reprint my fliers because they were so bad. Jamie's approach had me feeling as if I had hired an attorney to counsel me on a problem. Aside from her immense amount of experience finding animals, she calmed my anxiety and reassured my doubts. Jamie remained positive and was very persistent. I was astonished at the amount of things she did to explode Fluffy’s awareness in the community. Nothing I would do eased my mom’s devastation. Her illness continued to take over her and Fluffy’s existence suddenly became the only medicine to fix her condition. Jamie Katz, your work is priceless. Your work and all of the prayers were my mom’s medicine. Your counseling and experience calmed me during the few sightings we received, and reassured me in moments of doubt. I don’t know if you have been told before, but the fact that you knew what you were doing encourage and removed all of my doubts about never seeing Fluffy again. You are a blessing for taking upon this journey as a career. Fluffy was found between the first two locations where Jamie told me I needed to post the signs. I couldn’t believe it!!! You are amazing Jamie. May god continue to bless you. People need to realize this is a service which fits a very specific need. When you need your taxes done, call your accountant. When you lose a pet who is like family, you call Jamie Katz. It’s that simple. Thank you Thank you Thank you! !